Ready to visit Orlando, one of the world’s most kid-friendly destinations? 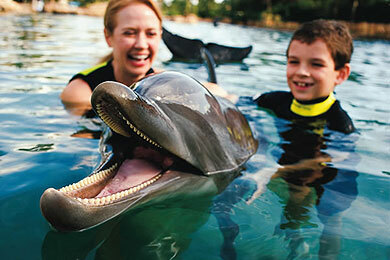 Here are the must-see attractions that will have the kids talking about their vacation for years! Of course the land of the Mouse makes our list as the No. 1 attraction for kids in Orlando! 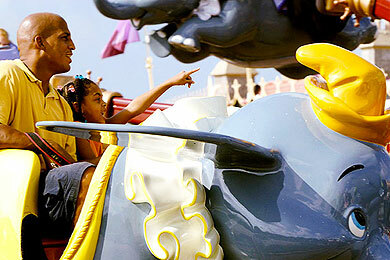 The Magic Kingdom’s attractions are beloved by all ages, with rides for even the little ones. Parades, musicals, and fantastical fireworks nightly help entertain if lines for Splash Mountain get too long, and special events include snow falling down Main Street in the winter/holiday months. Spend a day at a private cove swimming with dolphins, hand-feeding exotic birds, and snorkeling a tropical reef surrounded by thousands of fish and rays at Discovery Cove. Children as young as 6 can swim with dolphins and the cove features a lazy river and quiet beaches without the drive to the coast. 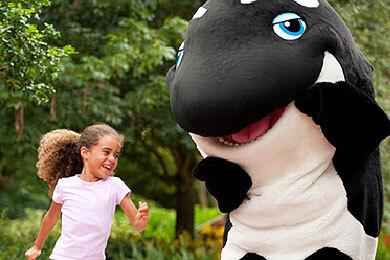 A Day Resort Package includes unlimited admission to SeaWorld, as well. 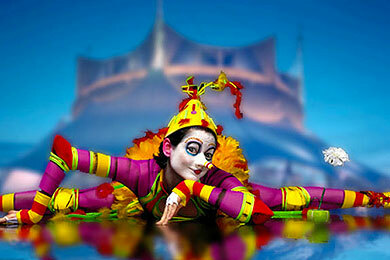 Permanently housed in Downtown Disney, Cirque du Soleil performs nightly for visitors to Orlando. Currently on deck is La Nouba, a world of make believe with a combination of circus arts, dance and eye-popping, jaw-dropping aerobatics. The Wonderful World of Disney crosses into film and television, and fans of the movies and shows especially don’t want to miss this theme park at Disney’s Hollywood Studios. Kids will find their favorite characters, from The Little Mermaid to the Toy Story ensemble to Belle and Beast to Lightening McQueen, as well as the ability to get inside the movies, like they will in the Honey, I Shrunk the Kids play area. One of the favorite theme parks for parents who love the chance to travel “around the world,” dining and shopping in 11 different “countries,” is also popular for kids, thanks to a number of rides and educational attractions the park continues to add in Epcot. 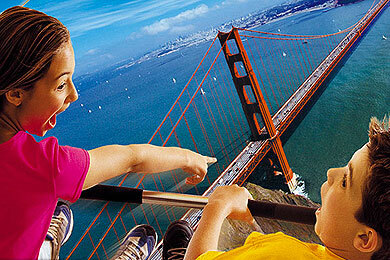 For example, Future World allows kids to explore space, the ocean, and the Earth’s core with exciting rides. Stick around for the amazing IllumiNation fireworks/laser light/pyrotechnics show held nightly. Located at Universal Orlando’s Islands of Adventure, this attraction is a top destination in itself — who doesn’t want to enter the Wizarding World of Harry Potter? Kids and parents can explore Hogsmeade and Hogwarts and fly with Hippogriffs. 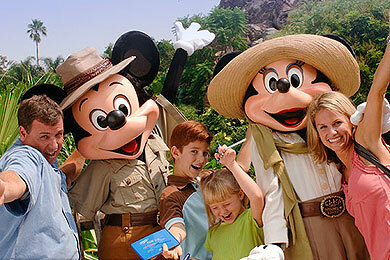 You don’t need to travel to Africa to take your family on safari with Disney’s Animal Kingdom theme park. The real safari adventure takes guests in open-air Jeeps across the rugged grounds where rhinos, giraffes and zebras roam. Petting zones, discovery trails, conservation areas, and, of course, rides, round out the fun. When it gets too hot to stand in lines, visit Disney’s two water parks, Typhon Lagoon and Blizzard Beach, to cool off on the water slides, in the lazy rivers, and in the wave pools. Typhoon Lagoon even gives kids a chance to snorkel a reef with real sharks, while Blizzard Beach%27s ski resort theme features a chair lift and snow-castle fountain play area. A great park for sulky teens that deem themselves too old for Pirates of the Caribbean, Islands of Adventure is one thrill-seeking ride after another. If you’re brave enough, Doctor Doom’s Fearfall, the Incredible Hulk Coaster, Dudley Do-Right’s Ripsaw Falls and the Amazing Adventures of Spider-Man will raise the hairs on your arms.